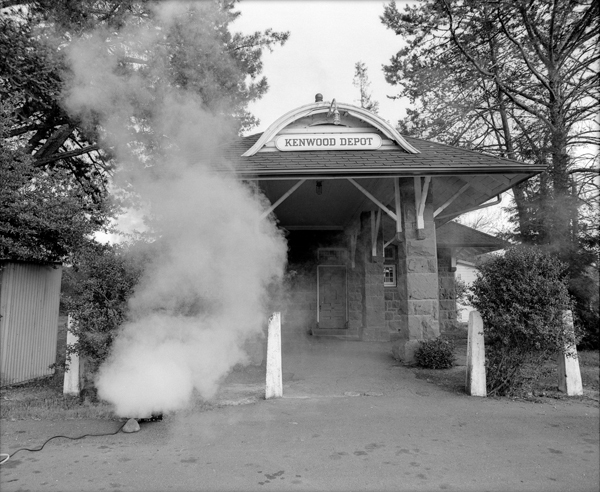 We raised our two boys in Kenwood, and I’ve always been fascinated by the old train depot there. Trains haven’t been in Kenwood for decades. Some “old timers” thought the train was preserved somewhere in the Bay Area. After making inquires about the train, rumors started to fly about my new photo project. I was approached by the managers of the 4th of July planning committee to come up with a new image to promote the festivities. 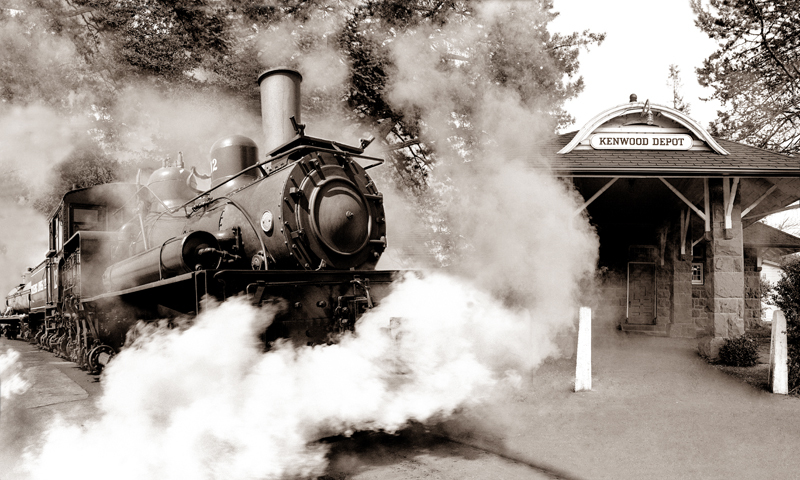 I decided that if I could locate the train, I’d create an image using the actual Kenwood train in front of the depot. After some research the train turned up across the Bay in Richmond. With permission I was able to use a smoke generating machine under the train to simulate steam, see image #1 above. 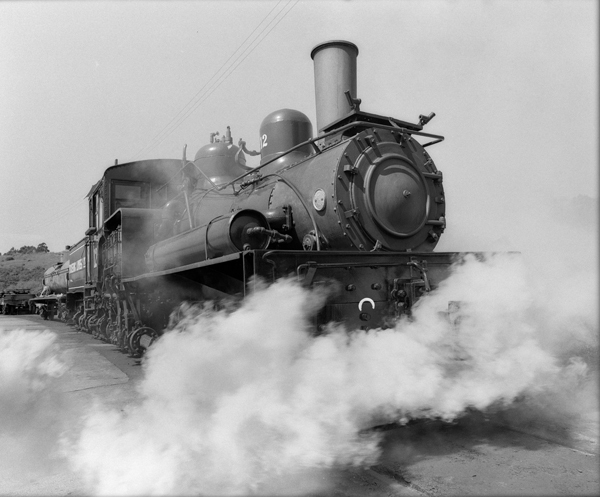 Then, the smoke generator was used in front of the old depot to produce a cloud of steam there, see image #2. Combining the two images in photoshop produced the final composite image. To add the finishing touch, photoshop was again used to change the Black & White image to sepia tone for the old time feel of the era. The image was used on Tee shirts and publicity purposes for the 4th of July Pillow Fights in Kenwood. Advertising Photography for Business, Products, Web Site Images, People, including Families in the Environment, Real Estate, Events, and Fine Art Images, such as the Butterfly in the Vineyard in Signed Limited Edition Giclee’ Prints on Canvas.